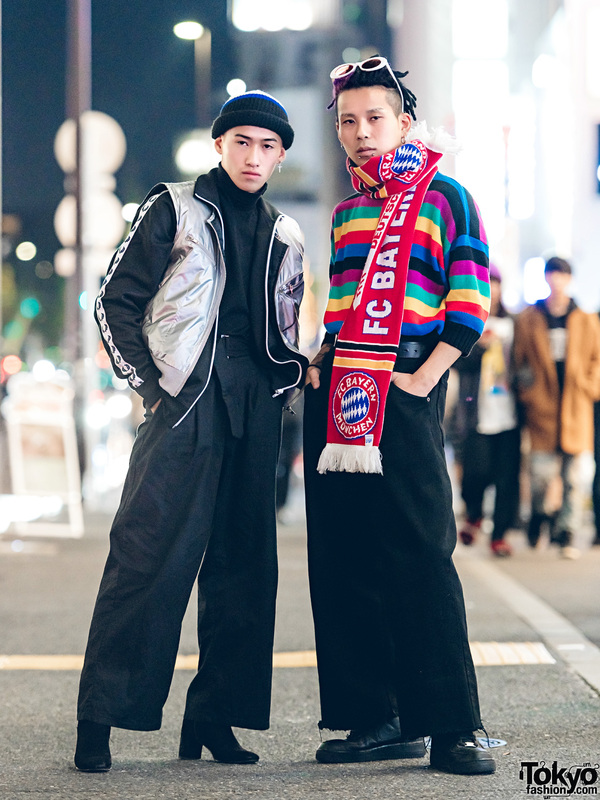 Stylish Japanese boys in vintage streetwear while out and about in Harajuku. Harajuku student wearing a cropped denim jacket, camouflage print wide leg pants, platform black shoes, leather beret and belt. 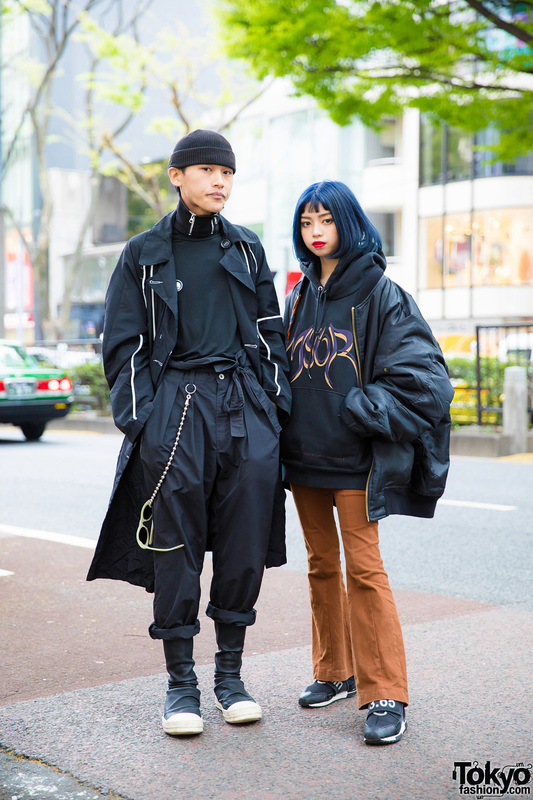 Japanese student showcasing sporty chic fashion while out and about in Harajuku.